This course will be run at NEWTON BOYS AND GIRLS CLUB for all new members of those organisations we have given defibs to. 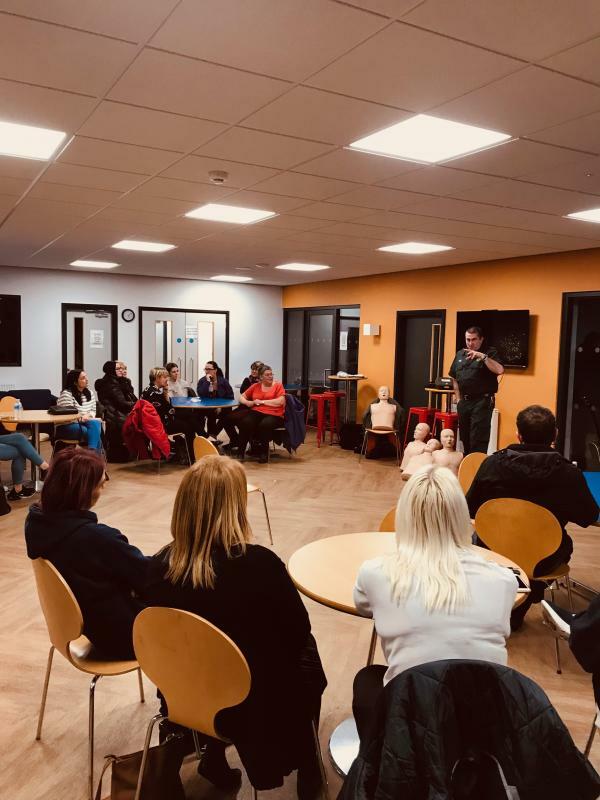 Following the recent distribution of two more defibrillators a further training course was run by Rob Sharples, North West Ambulance Service. The course was well attended with 18 delegates representing 7 organisations. We will continue to offer training as we roll out more defibrillators and with 11 distributed to date we are fast becoming a defribillator friendly town.